With Midea heat pump technology you can harvest the free energy in the air to heat your water and reduce water heating energy consumption, whilst providing steaming hot water all day and night. 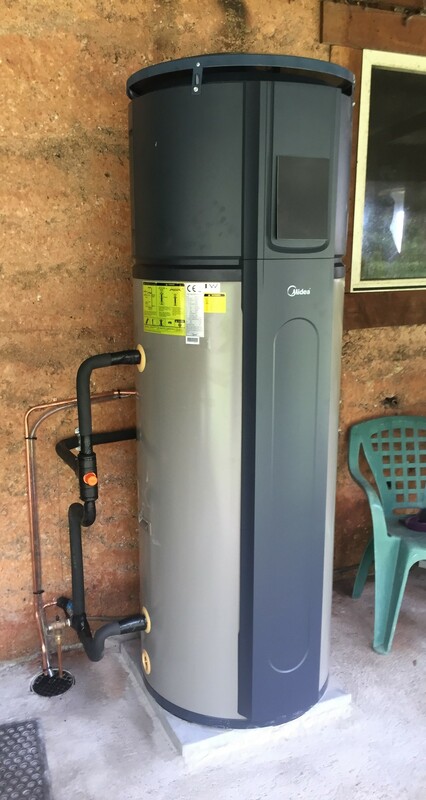 Heat pumps utilize an ingenious technology to efficiently transfer thermal energy directly from the surrounding air and into water, so they do not rely on the direct sun or fossil fuels to provide a constant energy source. But complement a solar array system beautifully and work together with the solar array making more than enough solar to cover the running cost of the heat pump.